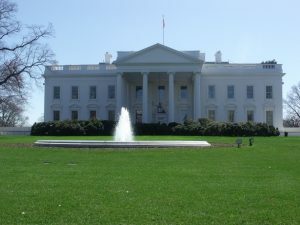 The time has come to unleash full electric competition by creating a grid of microgrids, and the nation’s capital city is a good place to start, according to a new report. DC Public Power (DCPP), an organization pushing for local energy, proposes that the District of Columbia move away from what it describes as today’s outmoded utility model and replace it with a competitive grid of microgrids. “DCPP has come to the conclusion that the electrical distribution model developed in the 1930’s no longer supports the required market dynamics for achieving goals that simply did not exist at the time of its conception,” says ‘A Framework for Economic Competition in Electricity Distribution Services,’ by Michael Overturf, the DCPP board president and CEO. The utility model is being made obsolete by competitive energy markets in combination with new communication and control technologies, low-cost distributed generation, and demand for renewable energy, according to the report. Under the new model, energy would no longer be distributed to homes and businesses by a utility. Instead, customers would receive electricity through a series of locally controlled microgrids. The D.C. microgrids would not only supply retail customers, but also arbitrage resources within the wholesale market, the PJM Interconnection. The idea is akin to the ‘grid-of-grids’ that some microgrid advocates say is the future of the U.S. electricity, where thousands of distributed microgrids would act at times together, at times alone, and at times in connection with the wholesale market to produce the most cost-effective energy. The transition to a grid-of-grids is often compared to the change that took place when personal computers and smart phones replaced large centralized computers. For Washington, DCPP proposes dividing the distribution infrastructure by geography into multiple microgrids, each serving anywhere between 5,000 to 20,000 energy consumers. The microgrids would be connected together as well as to PJM. To do this, the district would need to deregulate its utility distribution system. Distribution is the last segment in electric service that functions as a monopoly nationwide. Transmission already operates competitively, as does generation in several states. The grid of microgrids, however, would not be without oversight. DCPP proposes creation of district grid operators that would ensure proper and safe electric transmission. And the public service commission, which now regulates utilities, would instead regulate multiple distributed grid operators. Among other things, it would facilitate assignment of competitive operating rights for microgrids. Microgrids could be owned privately. Owners or franchises would compete to win bids for operating rights that would run for fixed terms. Winners would act as microgrid operators. What would be the benefits of a grid of microgrids? Besides creating more local control over energy, this approach would lower costs, improve electric reliability, and maximize sustainability, according to DCPP. The organization conducted a computer microgrid simulation to demonstrate the benefits. The hypothetical microgrid cut power costs by 40 percent over rates charged by Pepco, the local utility. It also decreased emissions by 40 percent, the report said. The model included a mixture of commercial and residential customers. The microgrid’s power came from both solar and conventional fossil fuels. 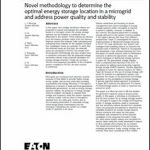 The grid of microgrids also could create a new standard for electric reliability. The power industry does not try to meet the ‘Zero Defect Reliability’ concept commonly used by American industry, according to the report. But the new approach would create “world class reliability performance” by connecting each microgrid independently and redundantly to PJM and interconnecting each microgrid together. DCPP also argues in the report that the U.S. will not achieve its renewable energy goals without microgrids. Other approaches, such as net metering, fail to produce the desired results. This is because they work against the prevailing utility business model, which profits from electricity sales. “Consumers may deploy solar panels, but this [utility] model does not allow all consumers to deploy solar panels without the collapse of the utility’s revenue model, effectively demonstrating that the existing tariff model is an anathema to solar adoption,” the report said. DCPP’s report is available for free download. What’s your take on the grid of microgrids concept? Post your thoughts in the comments section here or on our Linkedin Group, Microgrid Knowledge.